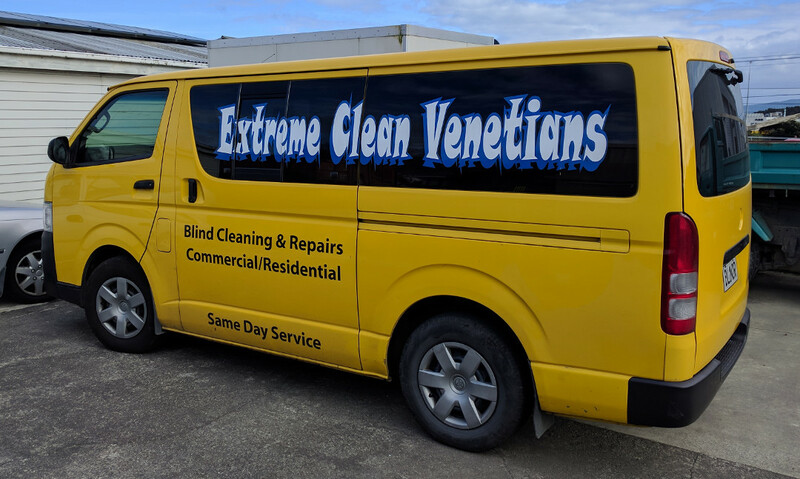 Extreme Clean Venetians - Operating since 2006. We use State Of The Art Ultrasonic Cleaning Technology to clean the grime from your blinds. Say goodbye to dust, bacteria and mould that can be a real health hazard! Have your blinds regulary cleaned to minimise allergies etc and to keep your blinds in peak condition without the need for replacement. Blind Cleaning and repairs do not get better than this!! 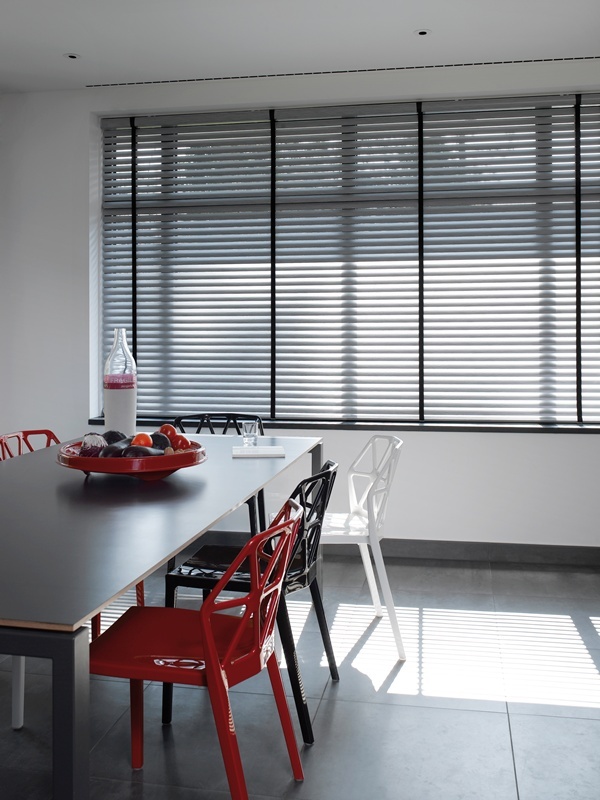 Extreme Clean Venetians offer both Commerical and Residential Blind cleaning services. We use state of the art Ultrasonic cleaning technology. Before you replace your tired / dirty blinds with expensive new ones, try having them Ultrasonically cleaned and repaired. 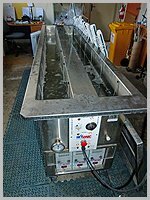 Ultrasonic cleaning utilizes a digital generator powering transducers submerged in a tank of hot water. The transducers vibrate at a frequency of 40 KHz creating millions of tiny bubbles that form and implode. This repeated formation and implosion creates a gentle cleaning action known as Cavitation. Cavitation has the ability to not only clean the surfaces of items, but also penetrate into the difficult to clean internal and crevice areas. It is safe and gentle. Ultrasonics will not scratch, pit or damage items the way that conventional cleaning methods do. All chemicals we use for cleaning your blinds are enviromently friendly / bio degradable. We do not use harsh chemicals. If we cant clean / repair your blind to a usable condition, or corrosion has taken its toll then we can offer new replacement blinds at competitive prices that we source from leading blind manufacturers. Uniline and Luxaflex are the preferred brands. We can clean all types of blinds including, Venetians, Verticals, Holland/Roller blinds, Verosol blinds, pleated blinds, Roman blinds, Sky light blinds, Sun screens, Cedar blinds, and all general wood type blinds. 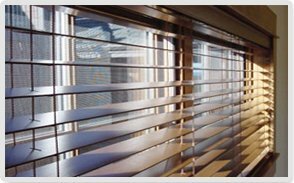 We offer a full repair service to all blinds including – restrings, cord lock replacements, wand mechanism replacements, blade replacements. Be aware that with older style blinds that have been discontinued / parts are no longer made. We can in most cases customise the blind to accomodate newer parts. We can bring your cedar blinds back to life without the need of replacement, if they are the oiling type we first clean each blade then re-oil the blades bringing them back to near new condition in most cases. For polyurethane coated cedars with sun fading which cannot be re-oiled we offer a full restoration service which will bring them back to an oiling type blind. Cedar rejuvination/restoration can save you litterally thousands of dollars on replacement costs. We specialise in commercial Buildings and small business, if taking your blinds off the premises to clean is not appropriate perhaps for security reasons, then we can bring our mobile workshop to you to clean your blinds making the whole process easier with much less disruption, your blinds would usually be rehung within a couple of hours using this option. Please inquire. We clean all residential blinds, a same day service generally applies. We can pick up in the morning and drop back that afternoon at a time that suits you. Please inquire. In most cases we can offer a same day service for most blinds, we can pick up early in the morning and drop back the same afternoon at a time that suits you. We offer free pick up and re-installation of you blinds at no charge. The price you are quoted on the phone is generally the price you will pay unless for instance, there is a repair needed that wasn’t discussed. We offer a full mobile service, with our new box trailer now completed we can bring our mobile work shop to your premises. Mainly aimed at large jobs to make the cleaning process quicker and easier creating less disruption at your commercial premises for example. So Call Extreme we'll keep them clean.